5) What does it mean cmdlet's? Automating repetitive task with the help of PowerShell loop is known as PowerShell Loop. Through PowerShell, you can execute For each loop, While loop and Do While loop. other operators like –ne for “not equal” , -gt ( greater than ) or –lt (less than). becomes the input of the second. 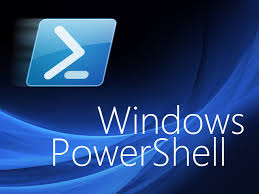 12) Mention what are the three ways that PowerShell uses to ‘Select'? services are ‘Running’ and which are ‘Stopped’ by scripting with windows. separate line. To use a text file as a PowerShell script, its filename should have.PS1 extension. hash table you have to use @ followed by curly braces. “@”symbol, they are represented as hashtable but not followed by curly braces.